The Department of Justice and Community Safety established a Community Advisory Group in October 2018 to help guide the development of the new prison and ensure the local community is informed and engaged as the project progresses. The Community Advisory Group also includes an Independent Chair and representatives from the local Aboriginal community, the Department of Justice and Community Safety and Victoria Police. Members of the Community Advisory Group use their local connections to share information about the project with the community and provide feedback from community members to the project team and the government. They also help to identify and shape future community engagement opportunities. The Community Advisory Group provides input into how the design of the facility addresses matters such as traffic management, car parking, lighting, noise impact, visual impact, landscaping, flora and fauna and environmental issues. The Community Advisory Group also provides input into the planning and construction of the prison, to identify and address local issues, and to inform the wider community on the progress of the project. The group meet regularly through the design and construction of the new prison. 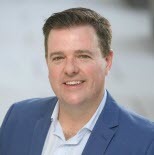 Justin is the Independent Chair of the Community Advisory Group and brings with him a wealth of experience on advisory boards and committees, including the Committee for Geelong. As the CEO of Avalon Airport Australia Pty Ltd and a Lara local, Justin has a deep knowledge of the region and community. Starting out as an engineer, Justin has more than 20 years’ experience in aviation. He has significant international business experience with the ability to work closely with a wide range of stakeholders with diverse needs and priorities. 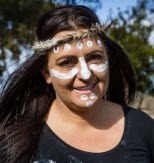 Corrina resides on the Surf Coast in Torquay and works at Wadawurrung Aboriginal Corporation, as well as running her own cultural business Mok- borreeyn bagoork, meaning proud women in Wadawurrung language. She also voluntarily manages and mentors a young Aboriginal dance troupe and delivers an Art program ‘Spreading the Message” which consists of bollards being painted by young Aboriginal youth to share cultural identity and stories. 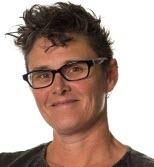 Corrina has worked in the Wathaurong community for 16 years in many family services roles and been an accredited carer caring for Aboriginal Children in out of home care. Corrina’s cultural knowledge is highly valued and recognised within many organisations. She assists many with cultural consultations for better outcomes of understanding and working collaboratively. In 2017 Corrina was awarded the First Nation’s Women of the Year award on behalf of the City of Greater Geelong. Leigh started her career in education, before working in disability, local government and the private sector. But it was Leigh’s passion for young people and community that lead her to her current role as consultant with the Barwon Adolescent Task Force. Leigh hopes to make a valuable contribution to her local community. Nigel is an active advocate for the Lara community and dedicated to ensuring there is communication and transparency about development in the area. While Nigel has lived in Lara for over 20 years, his family connections in the town go back four generations with his family first settling in the 'duck ponds' (as it was known then) in 1860. 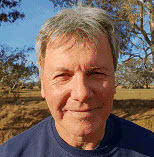 With a passion for sport, over the years Nigel has volunteered with the Lara Footy Club, been involved with the cricket club and been a board member of the Lara Sporting Club. In his professional life, Nigel is a Certified Practising Accountant. John is a Lara resident and operations manager and is committed to preserving Lara’s abundant natural surrounds and wildlife. John is focused on minimising the impact of the prison build on the local area and providing a voice for Lara residents. In his almost 30 years as a resident of Lara, Jeff has made a significant contribution to the local community even being named Lara Citizen of the Year in 2016. Jeff has been the President of the local Lions Club on three occasions and is a passionate volunteer, having assisted at St Laurence Community Services and the Lara Network Group. Jeff is looking forward to continuing his work as an advocate for all members of the Lara community. Marylyn has lived in the City of Greater Geelong for fifty years and the last twenty nine in the Lara area. She is a primary producer who has extensive networks within the rural community and the City of Greater Geelong. Marylyn is a member of the You Yangs Protection Group and the Township of Lara Care Group, she is also member of council at St Paul`s Anglican Church Geelong. She is an advocate for the protection of natural resources and rural landscapes and is known for her active work within the community. 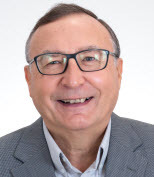 Barry has been a resident of Lara for more than 40 years and is President of the Township of Lara Care Group and a member of the Lara Community Network. 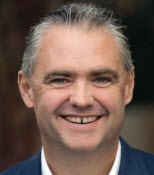 His business career includes corporate executive management roles including as CEO and he has been a member and chair of several bilateral business councils. He currently chairs the Australia China Business Council’s Agribusiness & Food Working Group. Barry is a member and past president of the Rotary Club of Geelong, with a particular interest in education and training and particularly, assisting at risk youth. 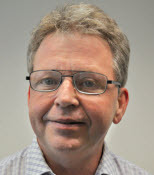 David Withington is a Lara resident with a lifelong interest and involvement in community affairs. 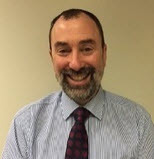 David was the Corporate Affairs Manager at Bisinella Developments, a large family business based in Lara and a leading supporter of local community organisations. 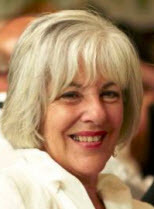 A communications professional and journalist with wide-ranging experience in both the public and private sector, David’s community service in the Geelong region has included terms as board director and president, Lara Sporting Club; director, Barwon Water; president, Geelong Harness Racing Club; president, Geelong Art Society; and vice president, Ocean Grove Community Association. David sees the job opportunities created by the prison expansion project as a positive development for the region and is keen to ensure that the project is managed to avoid any unintended impacts on Lara as the town continues to grow to the west. 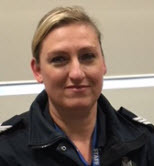 After 15 years of policing in the Geelong area, Sergeant Leanne Rayner became Officer in Charge of the Lara Police Station in May 2018. Leanne's policing career has spanned over two decades, including five years in the Tasmania Police Department in prosecutions and criminal investigations. During her time at Victoria Police she has worked in both regional and metropolitan settings focusing on community safety and crime prevention. Leanne will bring her local knowledge and emergency expertise to her role on the Community Advisory Group. 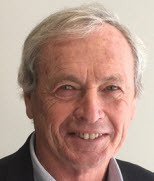 Anthony Aitken was born and raised in Corio and was educated at Deakin University. He has travelled extensively around the world but has always called Geelong home. Councillor Aitken has a strong family history of community service and has sat on the boards of a number of community organisations. He believes that giving back to the community you live in is one of the most important values a person can have. Kylie Grzybek is a Councillor with the City of Greater Geelong (Windermere Ward) and was first elected to Council in 2017. Councillor Grzybek is also currently the Chief of Staff to the Chief Executive Officer at the Transport Accident Commission. In the role as Councillor, Kylie is the Chair of the Community Health and Safety portfolio as well as being the Deputy Chair of the Inclusive and Diverse Community portfolio and the Leadership and Governance portfolio (including Audit and Risk function). As a local Lara resident and a mother of two, Kylie has a passion for the community and its members. 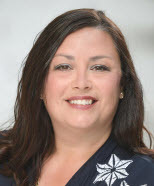 She is dedicated to sharing her experiences, local knowledge and well-established community connections with the advisory group. 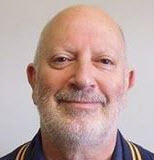 Rod Wise has had an extensive career in corrections, having worked operationally and as a senior manager in the Victorian prison service and in community corrections for many years. In his current role as Deputy Commissioner, Operations, he has oversight and is responsible for the policy and standards governing the operations of 14 prisons, a transitional centre, and state-wide Community Correctional Services. 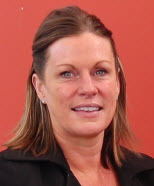 Leanne Barnes is currently the Executive Director West Area and Regional Director, Barwon South West Region, where she is responsible for working with program areas and communities to deliver justice services that are efficient, effective and address the needs of clients and the community. Leanne brings a wealth of experience and diverse skills to this role with extensive knowledge of the criminal justice system, strong stakeholder relationships and a comprehensive understanding of government. Having worked in Corrections Victoria since 1999, Leanne has held roles across a variety of areas including drug policy, prison master planning and demand management strategies. Prior to Corrections Victoria, she was a welfare worker, supporting sexual offenders with an intellectual disability in a residential program. Garry is the Project Director with the Department of Justice and Community Safety who is responsible for the delivery of the new youth justice centre in Wyndham. Garry has been involved in a number of large-scale infrastructure projects, including the Metropolitan Remand Centre, Hopkins Correctional Centre Expansion Project and the Ravenhall Correctional Centre. Garry has been a resident of Wyndham City for more than 30 years and brought up his family there.